Loews Coronado Bay Resort: Our resort has 439 luxury guestrooms including 37 plush suiteswith, you guessed it, incredible views. After a day of seeing the sights, unwind in one of our three heated pools, hot tub spa or dry sauna. Play some bayside tennis, or find your center with a yoga class. Perhaps you’d prefer to pamper yourself at Sea Spa? Our 65,000 square feet of flexible function space make this San Diego resort the perfect spot to have a dream wedding as well as the ideal choice for your next corporate function. Get room details and pricing here. The Hotel del Coronado: With its iconic red turrets piercing the taut horizontal lines of an azure California skyline, the Hotel del Coronado radiates with a confidence of gracious Victorian splendor that is without equal. Built in 1888, this classic beachfront respite has long been heralded as one of America’s most beautiful beach resorts. A pronouncement underscored by its designation as a National Historic Landmark in 1977. Today, The Del offers guests a unique combination of modern luxury touched with the charm and grace of this fairytale castle. Include its stunning beachfront locale and it’s easy to see why The Del has been called “one of the top ten resorts in the world” by USA Today. Get room details and pricing here. 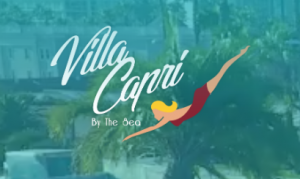 Villa Capri by the Sea: Nestled on the edge of Coronado Island’s vibrant downtown district on famed Orange Avenue, Villa Capri by the Sea offers guests an abundance of shopping, dining, and leisure activities such as golf and tennis — all in close proximity. Just across the street stands the historic Hotel del Coronado in all its splendor. Want to relax by the ocean? Make a reservation.